The Savvy Screener downloaded the Spincast app but unfortunately didn’t find Tears of a Broken Virgin. We were happy, however, to find A Boy and His Dog, the classic 1975 sci-fi flick based on a novella by Harlan Ellison and starring Don Johnson. We also found episodes of such series as How to Do Florida, Super Geek Heroes, The Northwest Outdoorsmen, The Design Tourist and Naturevision. Orlando, Florida, and Los Angeles, California, March, 2017 – Spincast TV adds more children’s programming with the addition of iRead 2Know. Orlando, United States, March 09,2017/Free-Press-Release.com/ — Spincast TV is pleased have The Children’s Reading Channel iRead2Know as a new addition of our growing Network. The Children’s Reading Channel’s, iRead2Know series “brings books to life” to nurture literacy in children. iRead2Know Makes Your Brain Grow! Join Eshe The Ethiopian Elephant, Purple Frog, Pink Dolphin, Blue Monkey, Yellow Snake, White Tiger, Bongo, NeNe, Banana Frog, Planet Pink, Puppies of Puccini, Merry Jane and the entire cast of lovable characters from iRead2Know provide inspiration, engagement and education. iRead2Know is the Ultimate fun educational experience in children’s entertainment! Nancy Hahn, President of The Children’s Reading Channel added, “I’m thankful to Spincast for showing their dedication to relevant progressive children’s content. Inspiring the joy of reading in children is a great key to a world of success and possibilities”. iRead2Know is a fun educational program that inspires the joy of reading in children by bringing books to life with colorful characters, cohesive themes, music, poetry, stories, sing-alongs, dance, social and emotional, animated features, and integrated multi disciplinary learning. Nancy Hahn is President and Creator of iRead2Know. Spincast signs first partnership agreement using SPAADE©, their proprietary programmatic addressable advertising distribution engine with Sports Bar Network, to be used in multiple locations for a major restaurant and entertainment franchise in the US. Representing Spincast was Louis Lewow of Lewow Media Group, Atlanta, Georgia. Sports Bar Network and the SBN platform allows our clients to deliver customized content and messaging that is relevant to their customers sports bar experience. Through Sports Bar Networks (SBN) patented technology, you can replace the commercials on the TVs in your sports bar with your own content. Because SBN is so effective at reaching customers in-venue, our clients marketing campaigns become more efficient. Consequently, the analytical data they pull from their in-store campaigns becomes much more useful and actionable. Spincast TV pens first partnership agreement with an original content financier for new, original films with more similar agreements to come. Orlando, FL, February 22, 2017 –(PR.com)– With this agreement, Spincast embarks on a whole new approach in bringing, new and original films to the big and small screens from around the world, to the world. Spincast TV and Lewow Media Group establish a media and advertisement representation agreement for the entire Spincast lineup of series, shows, movies, sporting events and more. Lewow Media Group, Inc is the consulting firm for all things IPTV. Expertise includes (but not limited to): Content Acquisition, Footprint and Distribution Expansion, Marketing and Audience Building, Hosting (Co location, disaster recovery, managed/unmanaged), high bandwidth needs (transcoding, encoding, content delivery networks, live streaming, multiple screens and devices) SEO/SEM, Social Media, custom web development and application design and streaming content (including mobile, OTT, STB /Android TV, Satellite TV, FTTH, Gaming Systems and OTT/IPTV app development). LMGI shows our clients how to mobilize and monetize their existing content and interactive properties. 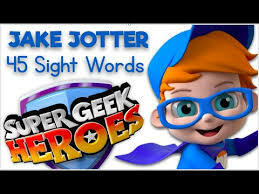 Spincast TV will collaborate with Yellow Spot Productions on a 3D animation series, Super Geek Heroes, aimed at children aged two to five years, and is also adding a style show, Design Tourist. The Design Tourist, with host Karen LeBlanc, takes viewers inside celebrity homes and explores the creative soul of a destination by interviewing local artists, artisans and designers, profiling unique architecture and other creative and cultural attractions unknown to mainstream travel in each travel episode. Spincast TV is a new global multi-screen Internet TV platform that’s marrying OTT video personalization with addressable advertising and point of purchase e-commerce features. The platform works as something of a user-generated site for professional content creators. Content partners are able to distribute any and all of their content to global viewers on the platform and derive revenue from advertising. The company rolled out its new addressable advertising engine last month. It delivers “actionable ads” that are targeted to viewers based on demographic data, so-called “psychographic” data (that refers to the likes, interests and habits of a viewer), geography and other viewer attributes. Spincast is hoping to help its content partners cash in on leveraging psychographic data and other bits of audience information to drive revenue. And thanks to the Internet and the rise of advanced advertising technologies, information about a viewers’ likes and interests can now be used to drive marketing campaigns and to target advertising. Spincast says it’s able to target viewers’ interests, based on first party data that it has about viewer behaviors, for example, and deliver relevant advertising. The engine acts essentially as a server-side platform (SSP), with real-time ad insertion. Castellanos told Faultline Online Reporter the company also plans to work with advertising agencies to match brands and campaigns with the relevant content on Spincast’s network. Through these partnerships, Spincast will develop targeted, relevant point of purchase features. For example, a campaign with Coleman’s outdoor products can be linked to a program about camping, and viewers from around the world will have the ability to look at, and purchase, products as they’re watching TV. Spincast TV will split advertising revenues with its content partners 50-50. Castellanos was unwilling to delve into some specifics of the company’s business plan, but the value that Spincast is bringing to the table for marketers and advertising agencies is what Castellanos estimates to be a global audience of billions that’ll be engaged and attentive for receiving media messages. And as viewers spend more time on the platform, and Spincast is able to gather more data about its advertising and point of purchase features alongside its programming, the more revenue the platform will be able to drive. Weeks after the rollout of its new addressable advertising engine, Spincast TV has revealed that it is now targeting every professional content provider with its products. The company is confident that with targeted, actionable ads delivered by audience, geography or demographics it can address a market of more than seven billion. Spincast believes that it can do this job as it specifically targets a consumer’s identifiable interests. Addressable advertising serves ads directly based on demographic, psychographic and behavioural attributes associated with the consumer exposed to the ad. This, it insists, will deliver an ad independent of any other based on specific consumer attributes using consumer traits associated with the programme or end-point. Spincast added that it had the ambition to become the premier showcase for agencies, brands, content providers and viewers. It said that this was possible due to its technology’s instant point-of-purchase capability combined with recent agreements with multiple library holders and content producers of children’s programming, films, series, sporting events and additional entertainment titles. Orlando, FL, November 30, 2016 –(PR.com)– Addressable advertising serves ads directly based on demographic, psychographic, and behavioral attributes associated with the consumer exposed to the ad. This renders an ad independent of any other end point based on specific consumer attributes using consumer traits associated with the end points as the basis for selecting and serving ads. “Research and data has demonstrated time and time again that most consumers don’t mind advertising just as long as the ads are targeted to their needs. How many times have we walked away from the TV when an unrelated ad appears? With targeted advertising, the viewer stays engaged and this ties in perfectly to Spincast’s instant point-of-purchase capability. Agencies, brands, content providers and particularly viewers all win,” said Castellanos. Spincast is a brand new TV Network viewable through an “App” on any mobile device, Smart TV and Web Browser. Your movie, series, game show, sporting event and similar get instant global access from the click of an app while providing multiple methods of revenue stream in the process.